The full implications of Darwinian philosophy are given considerable treatment during the course of three hours of footage, so it is not possible in a short review to do more than distil a few of the many major points made. During 1915, American pacifist and entomologist Vernon Kellogg had cause to dine with members of the German high command. Questioning his own pacifism, Kellogg wrote an account of the late-night conversations and tried to influence America to enter the war. 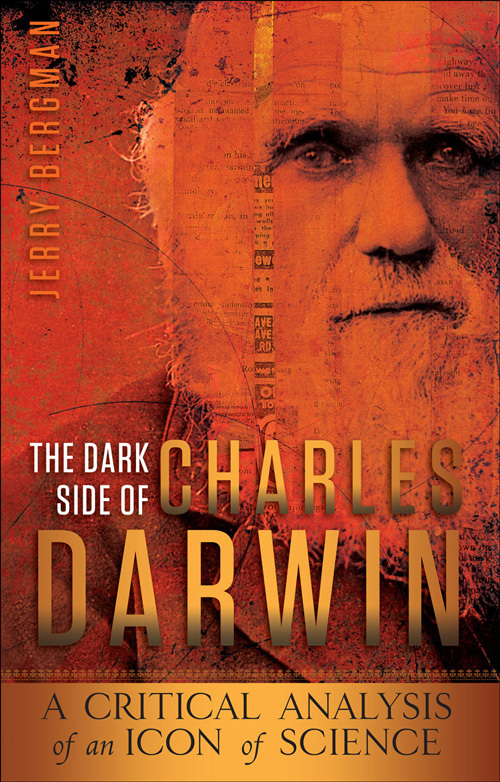 Marr opines that many of the world’s religions have embraced or accepted Darwin, but realises that those with traditional biblical and Christian moorings have put up a resistance. Yes indeed. One must wonder how Christians compromising with Darwin’s big idea cannot see that ‘theistic evolution’ is an oxymoron because it tries to embrace two systems of thought that provide competing and diametrically opposing world views. There is also an informative potted history of eugenics, beginning with its brainchild (and Darwin’s cousin) Francis Galton, who became obsessed about using Darwinian selection to produce improvements in the human race.6 Science fiction author Herbert George Wells supported both Darwin and eugenics.7 His book Time Machine was a stark warning about the dangers of the degeneration of the human race. Few British people are likely to have heard of ‘The Feeble-minded Persons Control Bill’, put forward almost a century ago, the aim of which was to segregate selected men and women in special institutions to control their breeding—this was Great Britain! Moreover, the first international conference on Eugenics was held in London in 1912, at which Winston Churchill called for the sterilisation of the ‘inferior’ by a simple surgical operation. The presidential address was delivered by none other than Charles Darwin’s son Leonard. Of course, it was in Germany that the brew of eugenics, genetics and Darwinism produced its worse fruit—the idea was that the Aryans (the German “Master Race”) were being threatened by contamination from the other races. This was just one small part of the Nazis’ attempt to create a fitter “master race”.10 American ideas were implemented in Germany to justify the sterilisation of many people. Doctors who didn’t comply were penalised.11 Later, the Gestapo started to round up people of “impure race”. 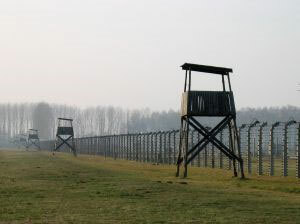 The Nazis sent around 250,000 of these men, women and children to the gas chambers from 1939–1945 in what was code-named ‘Operation T4’. Of course, the Jews had been singled out as a dangerous genetically inferior race. Hitler’s ‘Final Solution’ “resulted in the deaths of gypsies, communists, Poles, Slavs, mentally and physically disabled, homosexuals, political and religious dissidents and six million Jews.” Following the War, attitudes radically altered in the realisation of the full horror of Nazism, and the similarities between different peoples were emphasised as being far greater than the differences. Yet evolutionary thinking still had a strong influence on the western conception of humankind. His own Darwinian world-view shows through clearly as he discusses the prospect of genetic testing, which “allows us to find out more about our own evolutionary history than ever before.” But he admits that such tests could be used to influence how governments, schools, potential employers and even marital partners treat people—a very bleak, though not unrealistic, prediction. While Darwin might well have balked at such an outcome, it is indeed a natural consequence of rejecting divine revelation and embracing an anti-biblical world-view. The last of the series is aptly titled Life and Death. In it, Andrew Marr argues that Darwinism and environmentalism are closely entwined, moreover that the former is the key to averting “one of the greatest disasters in the history of our planet.” The approach he takes is not new and it is not subtle. (It’s thus hardly surprising that the BBC has also mocked the biblical Flood and Ark account.12) He chose to interpret fossils differently and decided that “extinction was a vital and necessary part of the process of evolution. … But burdened by his thoughts of life and death, and extinction, he soon began to retreat from the limelight. He knew that he had the seed of a dangerous idea, one that would undermine the Bible and Christian teaching” (emphasis added). Darwin’s theory gave a veneer of scientific respectability to the struggle for ‘racial purity’ that was central to Nazi philosophy.—Darwinist Andrew Marr. The basic idea in this final instalment seems to be that Darwin’s vision was responsible for giving human beings the impetus and rationale to look after the environment in which we find ourselves. Biblical revelation is seen as irrelevant. This is the Gospel according to Darwin, as expounded by one of his self-confessed modern-day disciples—some readers of this review may recall that Marr nominated Charles Darwin as his ‘Greatest Briton’ in a BBC series, several years ago.16 At the time he said: “[Darwin] is destined to be the prophet and guide of the next few hundred years. 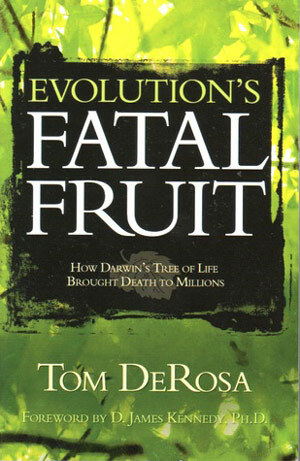 His time is only just beginning.”17 Again, Christians who see no harm in adding evolution to the Bible should pause and reflect long and hard on their reasons for clinging to Darwin’s Dangerous Idea. A road trip with a difference! This was first screened in the UK in 3 parts on 5th, 12th & 17th March 2009. Return to text. Paul Revoir, Yes, we are biased on religion and politics, admit BBC executives, Daily Mail, 22 October 2006. Return to text. J. Bergman, Darwin s critical influence on the ruthless extremes of capitalism, Journal of Creation 16(2):105–109, 2002. Return to text. Bill Muehlenberg, Darwin and eugenics: Darwin was indeed a Social Darwinist , 18 May 2007. Return to text. Darwin s body snatchers, One Human Family, pages 51–61. Return to text. R. Grigg, Eugenics death of the defenceless: The legacy of Darwin s cousin Galton, Creation 28(1):18–22, 2005. Return to text. J. Bergman, H.G. 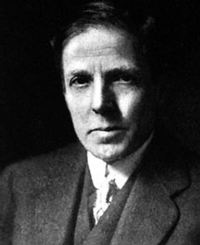 Wells: Darwin’s disciple and eugenicist extraordinaire, Journal of Creation 18(3):116–120, 2004. Return to text. 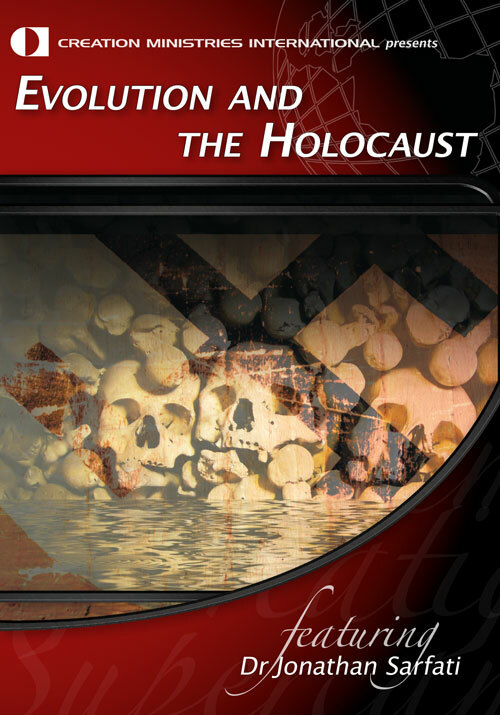 Edwin Black, War Against the Weak: Eugenics and America’s Campaign to Create a Master Race, Four Walls Eight Windows, New York/London, 2003; see review by J. Sarfati, America s evolutionists: Hitler s inspiration? Creation 27(2):49, 2005 <creation.com/weak>. Return to text. Christine Rosen, Preaching Genetics: Religious Leaders and the American Eugenics Movement, Oxford University Press, New York, 2004. See also reviews by R Grigg, ‘Hooray for eugenics’, Creation 30(3):50–52, 2008 and by J. Bergman, The church preaches eugenics: a history of church support for Darwinism and eugenics, Journal of Creation 20(3):54–60, 2006. Return to text. Richard Weikart, R., From Darwin to Hitler: Evolutionary Ethics, Eugenics, and Racism in Germany, Palgrave Macmillan, New York, 2004; see review by J. Sarfati, The Darwinian roots of the Nazi tree, Creation 27(4):39, 2005; <creation.com/weikart>. Return to text. 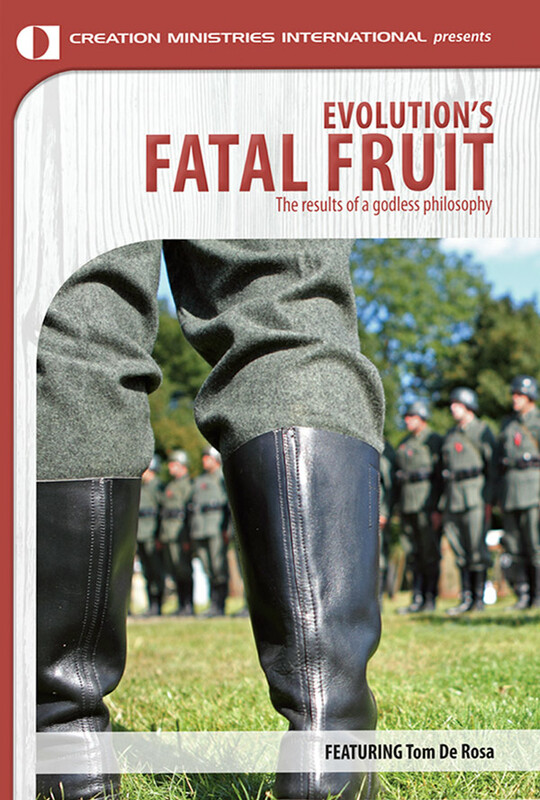 Augusto Zimmerman, The Darwinian Roots of the Nazi Legal System, J. Creation 22(3):109–114, 2008. Return to text. B. Hodge and J. Sarfati, Yes, Noah did build an Ark! Refutation of Did Noah really build an ark?, by Jeremy Bowen, BBC, 26 March 20o4. Return to text. C. Wieland, More about moths: A recent attempt to restore the reputation of the peppered moth as an evolutionary icon falls flat, 5 January 2008. Return to text. R. Grigg, Darwin’s illegitimate brainchild: If you thought Darwin’s Origin was original, think again! Creation 26(2):39–41, 2004; <creation.com/brainchild>. Return to text. See C. Wieland, Muddy Waters: Clarifying the confusion about natural selection, Creation 23(3):26–29, June 2001,<creation.com/muddy>. Return to text. Great Britons, BBC 2, screened in 2002. 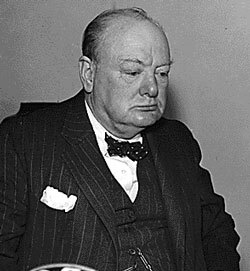 See www.bbc.co.uk/pressoffice/pressreleases/stories/2002/10_october/19/great_britons.shtml, Last accessed 28 April, 2009. The British public voted Darwin as the fourth greatest Briton of all time. Return to text. Andrew Marr, The most natural selection of all, The Daily Telegraph, Weekend, p. 1, 19 October 2002. Return to text.